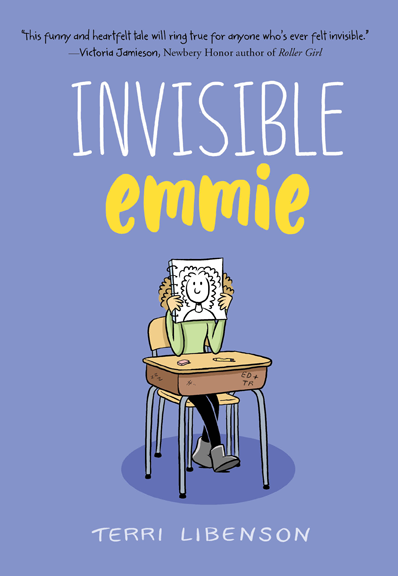 A while back, I posted the artistic process of Emmie’s and Katie’s chapters from my first book, Invisible Emmie. I thought I’d do the same for the characters from Just Jaime, Jaime and Maya. This time, I’ll also give you a little insight into both the writing and artistic process. I used to start off by writing (okay, scribbling) chapters on a regular legal pad (below). I also quickly sketched out the illustrations, as you can see. 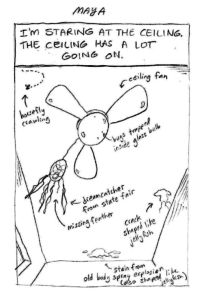 This is from an Emmie chapter. It doesn’t look like much, and I’m probably the only one who can read my writing (um, barely), but it’s okay because no one had to see these notes but myself. With Positively Izzy and Just Jaime, I skipped the legal pad. I just typed everything out in a Word document and indicted where art would go with notes or little rough sketches that I scanned in and inserted. As I rewrote (and rewrote, and rewrote), I did more finished-looking sketches. 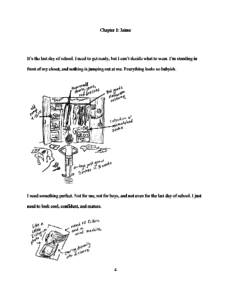 Here’s an example of a final typed manuscript page with the rough sketches. Once the final manuscript was approved, I got on my trusty digital drawing tablet (Wacom Cintiq), and did all the final art. 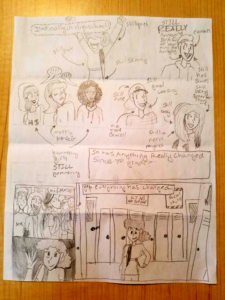 Just Jaime hasn’t been published yet, so I can’t show you what the actual printed page looks like, but I can show you the two final pieces of art. See any differences between these and above? Here’s the final art that I created on the digital tablet. 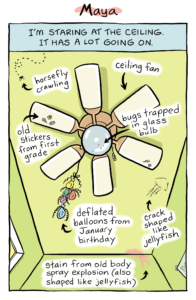 The one major difference is that I changed the dreamcatcher to deflated party balloons. Can you spot another difference? There was a lot of art for Jaime, but — as with all the books — I really enjoyed doing it. I hope YOU enjoy reading Just Jaime in May! I recently received a sweet letter from a reader, along with this incredible piece of art. I started to write her back, but I accidentally threw out the envelope with her address (argh!). Ava W. from Maryland, if you’re reading this, please email me your address! An article I wrote for Medium back in April. Enjoy! 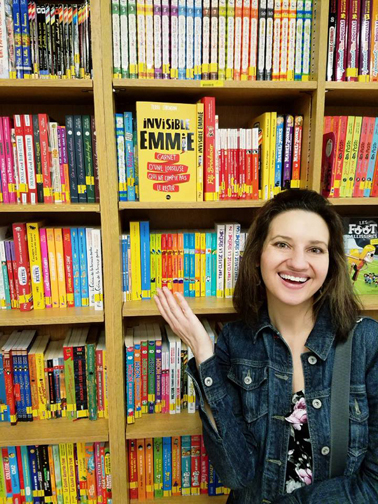 EMMIE in the (international) wild! 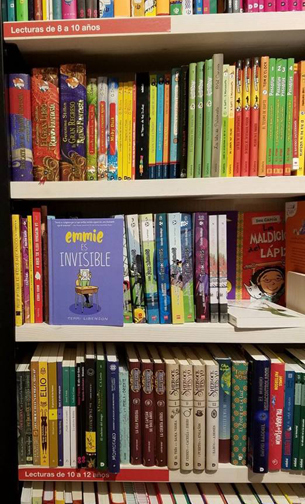 I was recently traveling abroad with my family to Spain and Paris, and…hey, look what I stumbled on: EMMIE books in Madrid, Barcelona, and Paris! Si and oui! Gearing up for a very busy spring. 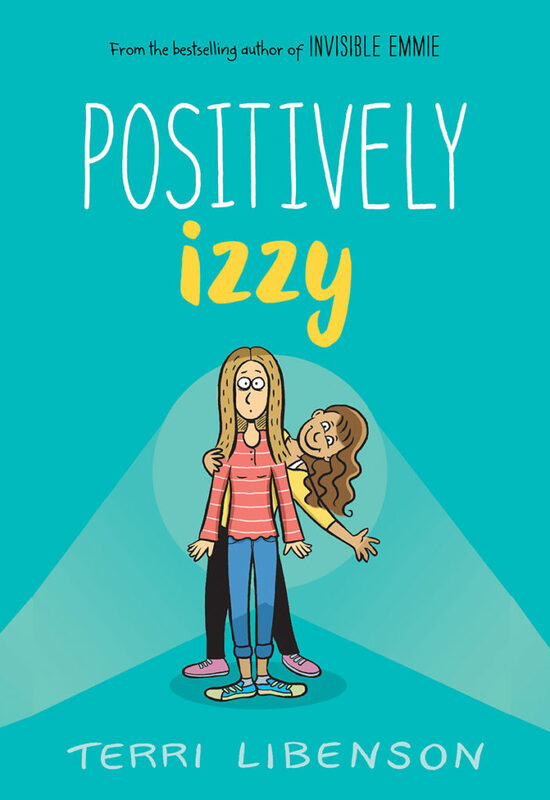 Pretty soon I’ll be going on tour for my new book, Positively Izzy, which debuts May 1. I will post that schedule as soon as it’s locked in. For now, I hope you’ll pre-order a copy! 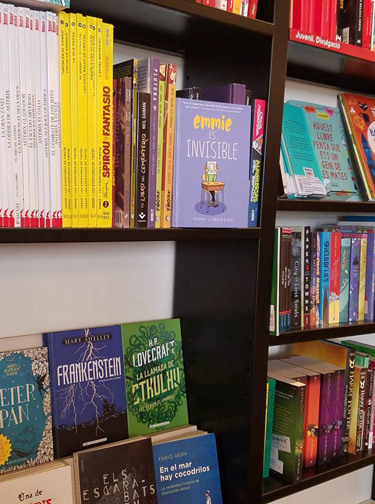 In the meantime, I look forward to presenting Invisible Emmie at Elyria Public Library on Monday, April 9, at 6:30 pm. 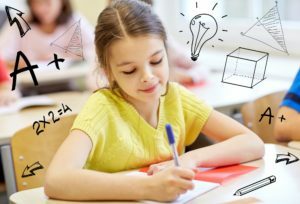 Click here for registration. Hope to see you! In other EMMIE news, this is pretty great. Listed among Barnes & Noble’s recent Top Graphic Novels!